Ariadne was one of the many daughters of Minos, King of Ancient Crete perhaps three generations before the Trojan war. She fell in love with Theseus and saved him from the Minotaur. She married Theseus and left with him for Athens but he abandoned her on the island of Naxos. There she married the god Dionysus and received an apotheosis. Ariadne was born to Minos and Pasiphae. Theseus was among twelve children sent as tribute to Minos from Athens. Ariadne was among the court of Minos who reviewed the tribute when they arrived and she fell in love with Theseus. Minos fell in love with Eriboia, another of the children. The children were to be sent as victims to the monster Minotaur in the Labryrinth. Ariadne got the secret of the Labyrinth from Dedalus who designed it. Ariadne gave Theseus a ball of thread so that he could lay down the thread as he entered the Labyrinth and find his way out. Theseus killed the Minotaur in the Labryinth, got out and took the children and Ariadne to an awaiting ship. Before he got on board he cut holes in the other ships so they could not follow. Theseus, the other children, and Ariadne left Crete, but as the ship came near the island of Naxos he threw Ariadne overboard. He was advised to do this by Athena who knew that the Minotaur and Dionysus were the same and that Ariadne was destined to marry her brother. Ariadne swam ashore and became involved with a Dionysian rite. The Maenads may have been happy to see Ariadne because they needed a willing victim for the sacred rite of sacrifice. She had lost her clothing and any connection to her family in the sea so she could be sacrificed without retribution. The purpose of the ceremony was to provide a blood sacrifice to bring Dionysus (the same as the Minotaur) back to life. At the sacrifice ceremony she caught the attention of Dionysus who fell in love with her. Instead of going to Hades with other victims she went to heaven to live with Dionysus. Dionysus gave Ariadne a crown which is now among the stars in the heavens. Ἀριάδνη — Ariadne — ‘Goddess of Snakes’ from Indo-European ‘aryo’, ‘Lord, ruler’ and ‘angwhi’, ‘Snake, eel’. This derivation of the meaning of the name using Indo-European derivations seems quite consistent with what we know about the Minoan Culture. But the name does not seem to be from the Minoan language. Rather it is an ancient Greek derivation from what the ancient Greeks knew about Minoan culture. The translation of the name ‘Ariadne’ as ‘most holy’ comes from finding in the Greek dictionary that ‘ἀρῐ-‘ is a prefix that means ‘goodness’ and ‘ἀγνός’ means ‘holy’. Lidel and Scott points out that the Cretans used a ‘δ’ for the ‘γ’ in this latter word. There is no doubt that for more than a thousand years this latter definition was accepted as there is art that seems to depend upon it. But the former definition seems more meaningful in the ancient context. of ancient Athens; but he had no joy of her. Dionysos and Ariadne in a chariot. Silens. Normally the story of Ariadne begins with her mother Pasiphae. She had fallen in love with a bull of Poseidon and as a result of her tryst with him she gave birth to a half bull, half man called the Minotaur. Minos kept him in the Labyrinth that Dedalus designed and fed him on human meat. Ariadne was a princess and a priestess who probably had many duties related to her brother, the Minotaur. One likely duty was the preparation of the victims. She would have to determine their suitability by testing them in various ways. Once Ariadne would determine their suitability the victim would be released into the labyrinth to be hunted down by the Minotaur. Like a cat hunting a mouse part of the pleasue of the Minotaur was in the hunt. Why else have a labyrinth? Once the victim was caught he had the pleasure of eating fresh meat. Because of the death of the son of Minos in Attica Minos made the Athenians send victims to be fed to the Minotaur at regular intervals. When Theseus arrived as a young man in Athens he decided to volunteer as a victim to see if he could bring a stop to this practice. When Theseus arrived in Crete Ariadne fell in love with him probably during one of the session where she was determining suitability of Theseus as a victim. It is beleived that Aphrodite made Ariadne irresistable at that time. She decided to save him and gave him a ball of sting that he could unwind as he went into the Labyrinth. This would tell him how to get out. When he found the Minotaur he beat it to death with his bare hands. He was then able to escape from the Layrinth with the string. He gathered the other children from Athens with Ariadne and then seized a ship and off he sailed. Theseus probably spent some private time with Ariadne to satisfy his lust. Some even report that he impregnated her. But he soon tired of her and turned to another woman. This was none other that Athena in a very beautiful disguise. He was so captivated with her that when Athena advised him that he should dump Ariadne he did it literally. It is interesting to note that Theseus chose Athena over one assisted by Aphrodite. This is in contrast to the choice that Paris would make. As his ship passed Naxos he threw Ariadne overboard. She was totaly distraught as she washed up on the shore that evening without any of her luggage or clothing. When Ariadne gained her consciousness she found that there was a festival to Dionysus in progress and the revelers were well into their celebration. The purpose of such a celebration is to achieve ecstacy either through the effects of alcohol, sexual activity, or the ritual killing of a living being. It was easy for Ariadne to join because of their disheveled and inebriated state. Because of Aphrodite’s involvement earlier she must have been irresistable anyway. Many revelers were already disroded and well into their ecstacy. Some even came right down to the beach to dance with Ariadne and share their activity. Ariadne fits right in to the Dionysian revel. Finally it came time for the climax of the ceremony. The revelers needed a victim to sacrifice so they would achieve the final height of ecstacy. Ariadne was a perfect victim. She was so distraught she was ready to die. She was beautiful and irresistable, and no one knew her so they were sure no one would interefere. Sometimes the revelers would chase through the woods after a suitable victim. Ariadne might have run at this point just so they would hunt her down. Or she could have stabbed herself or torn out her hair. The sight of blood would have inflamed the revelers to use her as the victim. But a victim of her size would have been hard to tear apart. They probabaly stabbed her in the neck and took her blood and then they cut, hacked and tore her apart and ate her flesh. Ariadne has her throat slit and is being pulled to pieces as a part of the Dionysian festival. When they were done there was little substance left of Ariadne. Her flesh had been consumed but her soul had departed. The reason for consuming the flesh of the victim was to allow the revelers to partake in the power of life that the victim had. The tearing apart related to the idea of continuous life. It is a vision that life carries on in spite of death. It was an attempt to conquer death by tranferring the substance of the victim to the body of the reveler. All that is left of the revel the next morning are sleeping revelers and a small pile of Ariadne’s bones. As soon as her breath stopped the soul of Ariadne was tranported to Hades and Persephone. She was received into Hades as a heroine for giving herself up the way she did. Persephone wanted to demonstrate that one could achieve good results through sacrifice so she saw that Ariadne joined Dionysus as his. Dionysus was taken by Ariadne’s beauty and her willingness to perform in his ceremony that is so cruel. So Ariadne participated in a sacred marriage with Dionysus in spite of all. Zeus deified her and raised her to the stars. ritual. 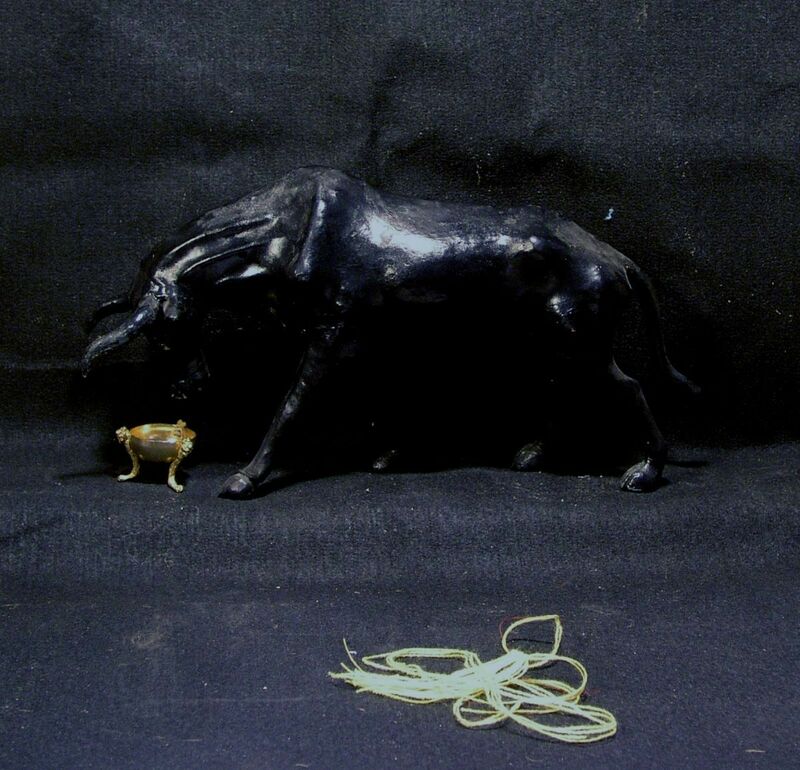 Kerenyi suggests the ritual involved an attempt to capture the bull. was so disgusting to the mainland Mycenaeans that they supressed it entirely. Worse yet, Ariadne as the sister of the bull, was also his betrothed. and she had doubts about her marriage to Dionysus. a secret that is passed as well as a method that is used to bind the bull. the key of the Dionysian rituals. fact that the child she carries is actually Dionysus passed to her by Theseus. easily more powerful than Ariadne and probably more powerful than Aphrodite. The Athenians ultimately greatly benefited from this better choice by Theseus. Ariadne is also satisfied as the divine wife of Dionysus. to make a good guess. The mother of Ariadne is usually classed as a goddess. Andromeda was exposed. Zeus would have found her and impregnated her. Though Ariadne was born a goddess her true nature may have been hidden from her. have been transformed to a goddess there (if she was not already a goddess). Dionysus fell in love with her and then took her to Lemnos. Question: what are Ariadne’s powers and responsibilies? her powers change, because her realm changes. punishment. But death by Artemis usually means a person got sick and died. goddess happily married and living on Olympus. means ‘most holy’. She was also the daughter of the moon-goddess Pasiphae. Question: What is Ariadne’s association with spiders, as well as snakes? Answer: Ariadne gave Theseus a ball of thread to unwind in the Labyrinth. Theseus because she wanted to sail with him. Question: what time period is this? She had access to Theseus. Homer mentions her specifically in the Iliad and the Odyssey among his catalog of important women. Question: Why was the constellation CORONA BOREALIS sacred to Ariadne?What does it have to do with the crown given to her by Dionysus? Ariadne on Naxos and they fell madly in love with each other and married. constellation Corona Borealis, the Northern Crown. Question: what was Ariadne the Godess of? she could be in charge of some sub-set of Aphrodite’s realm. Question: Why was Ariadne important? What did people do to please this goddess? Answer: This is a complex and involved topic. It is not certain that Ariadne was ever a mortal. If she is a goddess she is related to Aphrodite. She may have been an older version of Aphrodite and worshipped like her. In the story of the Minotaur she saves Theseus through the intervention of Aphrodite. But the thread or string that is involved is more likely related to Athena. In the mythical realm this may be her most important contribution. But the abandonment of Ariadne by Theseus may also be important. Ariadne has become the symbol of such abandonment. The fact that Athena told Theseus to abandond her my relate to a triumph of reason over lust. Her bethrothal to Dionysus may relate to the place of love in life but also the chaotic nature of the emotions related to love. The marriage of Ariadne to Dionysus in a ceremony in which she is sacrificed has been ignored but it may be important and a testimony to death and rebirth as significant. The Iliad contain description of her participating in a dancing ceremony. There are many instances of dancing related to Ariadne. The Labyrinth has been interpreted as a place for line dancing. The Crane dance is associated with release of victims from the Labyrinth. Lamentations are appropriate for the loss felt when she was abandoned. Answer: According to the American Heritage Dictionary a cult is, “A system or community of religious worship and ritual, especially one focusing on a single deity or spirit.” So what I have given you is religious worship from the past focusing on Ariadne. In general it can be said that pleasing a goddess is the same as participating in her cult. There do seem to have been cults of Ariadne in the past and what I gave you are activities that people in these cults performed. Lamentations and orgiastic behavior seem to have been performed to please Ariadne as a goddess. Do not assume that orgiastic behavior meant wanton behavior. Actually the behavior described for the cult of Ariadne seems very similar to ancient Minoan worship. My notion of worship is going to church and sitting in a service with music, prayer, and service. During ancient Minoan times worship meant more of a procession than a service. There may have been songs and prayers, or even extended curses, but there is no record of them. Instead we have record of dancing and sacrifice and often a communal meal. The general picture of their worship is that it meant a procession invoving dance to an altar with a stature of the deity, in this case Ariadne. At the altar gifts would be presented to Ariadne. These gifts might include prayers, pledges and physical objects. The physical objects might be items perceived to be of interest to Ariadne, a ball of string for example. They could also be items that could be used to remind Ariadne of what the petitioner desired. If a person was in love a picture of the beloved might remind Ariadne that the petitioner might want to marry the beloved. If a person had a sore on their arm a gift of a clay arm to Ariadne might be appropriate. Libations were common. These are a kind of gift. A liquid would be poured on the ground, in a hole, or in a container. This liquid, like blood in ones body, would help to bring Ariadne’s spirit to life so she could take whatever action is wanted. Sometimes the statue or icon of the goddess would be washed or dressed or the altar cleaned as a gift to the goddess. After the gifts were presented there might be the sacrifice of an animal. One purpose of the sacrifice was, like the libation, to provide vitality to the soul of Ariadne with blood of the animal. But the other purpose was to provide meat for a community meal. The meat was then roasted on an open fire and the cooked meat was shared with the participants. All ate together in a community meal. The place of wine in the ceremony might be discussed separately. Wine had an intoxicating effect then as now. But the purpose of including wine in a religious ceremony probably was special. During religious ceremonies wine could be poured as a libation. It could also be drunk during the communal meal just as refreshment. But during the worship of Dionysus and Ariadne it seems to have been used to induce prophesy. Dancing can also produce this result. Prophesy gives insight as to divine will which has the practical result of knowing how to prepare for the future. Wine loosens one’s tongue and words and sentences may be spoken in an unusual way. Prophesy results when the unusual statements seem especially meaningful for the future. There are historical records which indicate of what was done during the worship of Ariadne. But there were many practices that are documented with other cults that might have been performed. The case of Ariadne is somewhat more complicated by the nature of her reality or her deity. If she was mortal then she would have been worshipped as a heroine. But her life was complex and it is not clear what aspect of her life to focus on. If she was a deity then the realm over which she ruled was not clear. Again it is difficult to focus on one aspect. Recently I discovered that her name might mean ‘Goddess of Snakes’. This might mean that she really was a Minoan goddess. If this is true her realm would have related to the culture of the Minoans. Since snakes are related to the earth this might make her an earth goddess like Gaia or even Demeter. So she might have been worshipped as either of these latter goddesses was.